By June 1966, British influence on American pop musical tastes was firmly established and record labels had opened their recording studio doors to much more creativity. The Incredible String Band was not the typical British Invasion band. In 1966 American radio stations were playing #1 songs by the Beatles, the Rolling Stones, Petula Clark, and the Troggs. Even the New Vaudeville Band’s “Winchester Cathedral” found a place in our ears. ISB, consisting originally of Mike Heron, Robin Williamson, and Clive Palmer, had recorded the album only the month before. Their style was acoustic and British folk. The Incredible String Band planted their sound’s seeds in that soil. 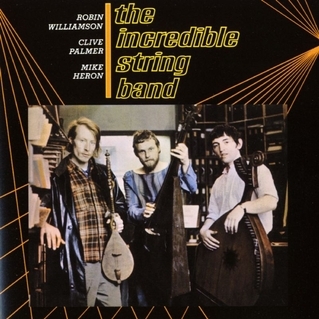 Compared to their later work (minus Palmer who left after the first album), Incredible String Band is simple. In fact, most of the songs are played solo by the person who wrote them. Palmer had only written one of the songs and thus minimized his presence: five by Williamson, three by Heron and the one by Palmer. It would be those more intricate pieces that attracted the band (now only Heron and Williamson with occasional others) to American FM alternate stations. And it was that attraction that likely brought the band to the attention of Woodstock Ventures who booked them for the Festival on May 28, 1969 for $4,500.